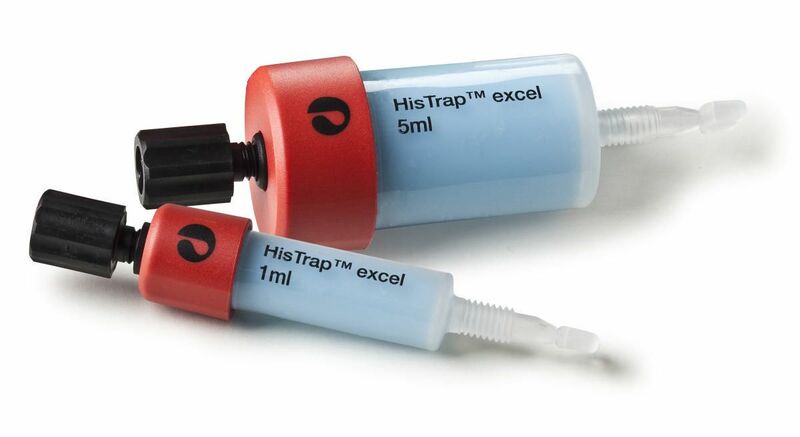 HisTrap™ excel columns are prepacked with Ni Sepharose™ excel affinity media for capture and purification of histidine-tagged proteins secreted into eukaryotic cell culture supernatants by immobilised metal ion affinity chromatography (IMAC). The special type of filter in the top and bottom of the columns makes it possible to load large volumes of cell-free, unclarified samples directly on the columns without causing back pressure problems. This time-saving property helps prevent degradation and loss of sensitive target proteins. 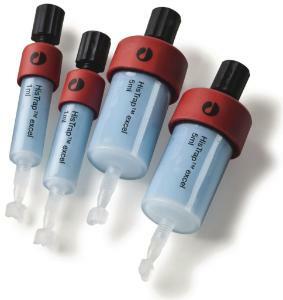 Leveringsinformasjon: Supplied with a stopper on the inlet and a snap-off end on the outlet.